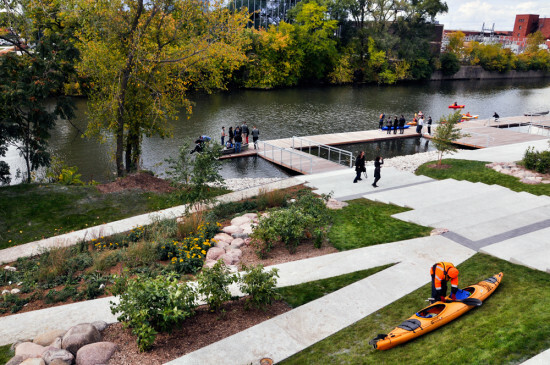 The Chicago Parks District has picked hometown architectural hero Jeanne "MacArthur Genius" Gang for yet another lakefront project. The Chicago Tribune reported that the celebrated architect will draw-up a "long-range plan" for the city's Museum Campus where George Lucas' museum could soon rise. Besides her Chicago-roots, and global starpower, Gang is the obvious choice for this project. She is currently overseeing the landscape design for Lucas' museum and is creating a pedestrian bridge that will connect it with Northerly Island, which Gang is currently turning into a 91-acre public park and nature reserve. The focus of the campus plan, reported the Tribune, will be sustainability, education, recreation, access, and improving transportation around Chicago landmarks, including the Shedd Aquarium, the Field Museum, and the Adler Planetarium. There is currently no timeline for the master plan. 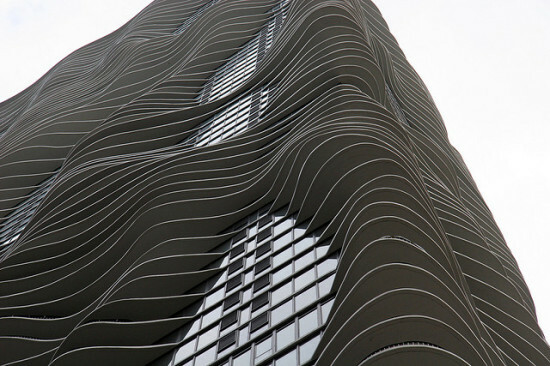 MAD Architects, the Chinese designers known for their organically curving buildings from Inner Mongolia to Canada, will work with two local firms—including Studio Gang Architects—to bring filmmaker George Lucas’ new Chicago museum to life. MAD will design the building, while Studio Gang Architects will provide landscape work—an integral part of the lakefront site—and VOA Associates will be the architect of record, said officials for the forthcoming Lucas Museum of Narrative Art Monday. 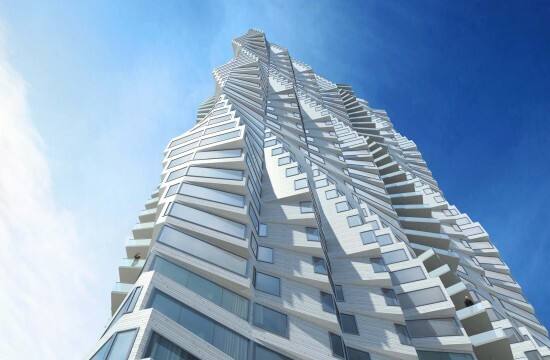 The Chicago Tribune first reported the story, with Blair Kamin calling "the star-studded team … a surprise given Lucas' penchant for traditional designs." Many also called Lucas' choice of Chicago for the museum, over other West Coast options, surprising. 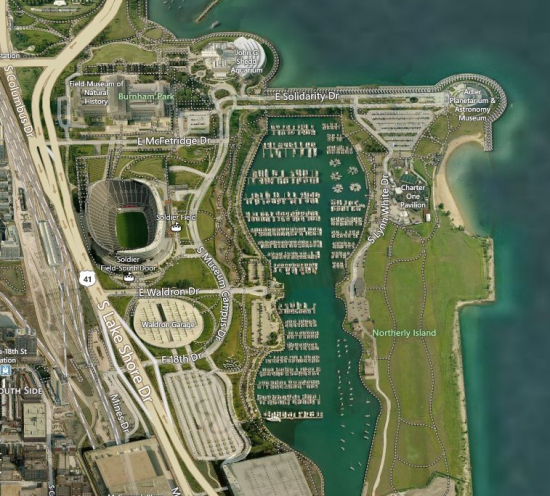 The Star Wars creator’s museum is currently targeting a lakefront site between Soldier Field and the McCormick Place convention center. 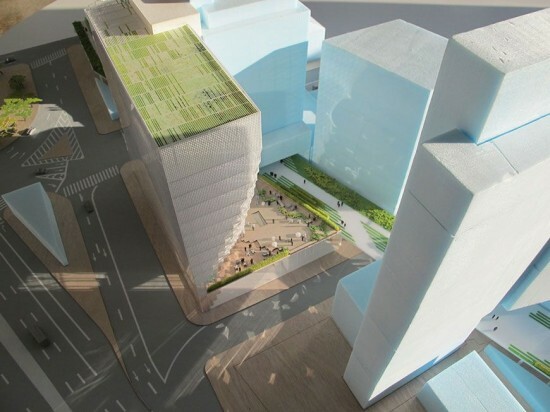 It would take the place of two surface parking lots, replacing those spots and then some with parking below grade. But that proposal is currently facing a challenge from lakefront advocates, who point to a city ordinance forbidding private development east of Lake Shore Drive. 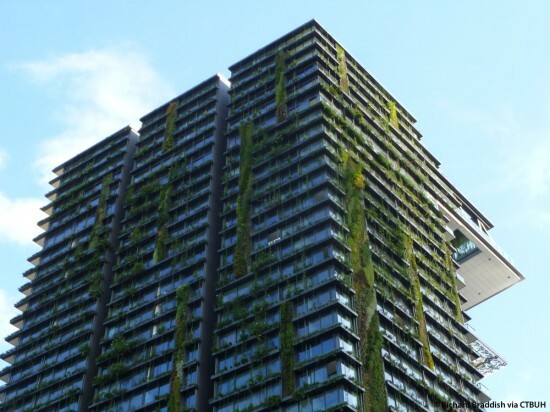 Their qualm may carry legal weight if Lucas doesn’t hand over the museum, in which he is expected to pour $700 million of his money, to the city’s park district upon completion. At any rate, the involvement of MAD’s Ma Yansong and Studio Gang's Jeanne Gang is likely to produce memorable architecture for the new museum, which will house movie memorabilia and selections from Lucas’ extensive art collection. Yansong’s work includes the Ordos Museum, an otherworldly blob in the deserts of Inner Mongolia, and Ontario’s Absolute Towers—sculptural, round apartment towers that have been dubbed the "Marilyn Monroe Towers" after the curvaceous actress. That style seems in keeping with Gang’s own tastes, which tend toward organic forms and eye-grabbing designs. VOA has designed offices for Ariel Investments, a company led by Lucas’ wife Mellody Hobson. Lucas has also pledged to help fund an $18 million pedestrian bridge at 35th Street to improve access to the site. 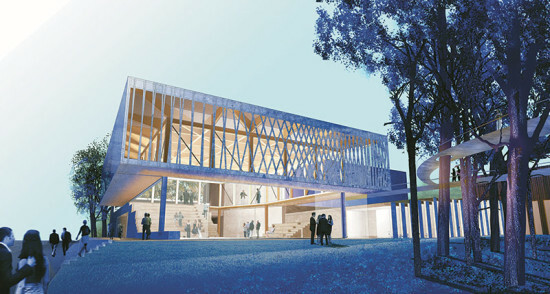 The museum is expected to open in 2018. Chicago's most famous architect has just acquired a New York City pied-à-terre. Studio Gang has opened an office on Water Street in Lower Manhattan, which will be led by Weston Walker, a design principal. 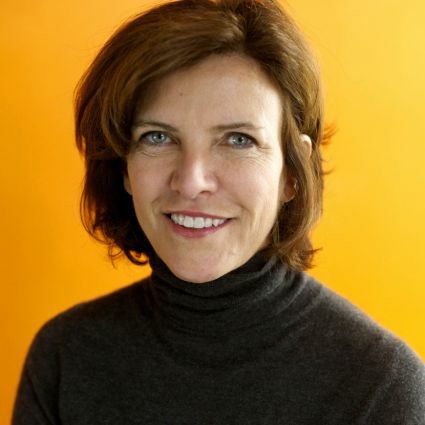 “This is a natural next step for the firm,” said founding principal Jeanne Gang in a statement. “We have been working in New York for the past several years and are excited by the variety of work currently in design, along with potential engagements in the city and beyond." 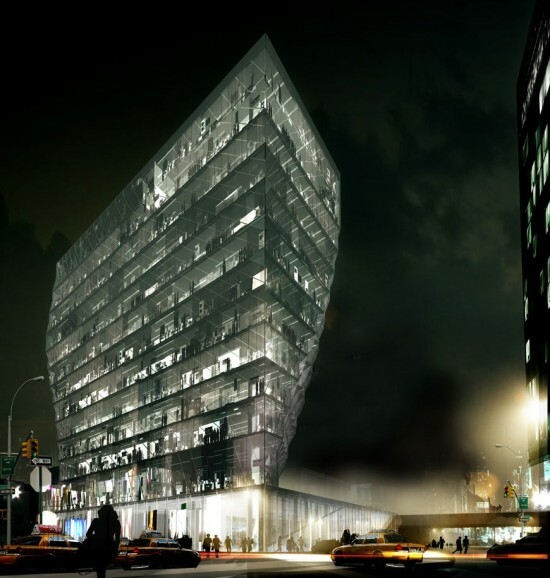 The firm is currently working on a Fire Rescue facility for the New York City Department of Design and Construction and on the "Solar Carve" tower adjacent to the High Line. That project met resistance from the community for its height. There is no word yet on how tall it will be or how it will be redesigned. 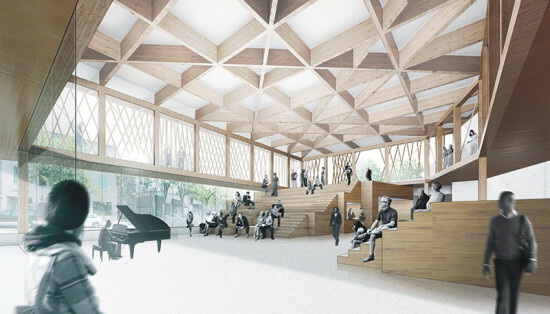 Studio Gang Architects are familiar with theatrical spaces, and with the rhythms of the natural world; their design for Writers Theatre in north suburban Chicago reaches out to nature with timber trusses and a raised promenade through the trees. But a new project may take those interests one step further. SGA announced Wednesday they will collaborate with Thodos Dance Chicago on a project "investigating the intersection of dance, architecture, and physics.” Working with University of Chicago physicist Sidney Nagel and his lab group, Gang’s interactive structure will draw inspiration from “jamming” — the research process of studying disordered materials. The world premiere dance performance will also explore the overlap of physics, dance, and architecture. As yet untitled, the work will debut as part of Thodos’ Winter Concert 2014 on Saturday Feb. 22, 2014 at 8 p.m. at the North Shore Center for the Performing Arts, 9501 Skokie Boulevard in Skokie, IL. Tickets are available at northshorecenter.org.